Have you considered starting a greeting card business? Some of my friends and aquaintances who are also artists have groaned aloud when I have mentioned this subject but they usually become very interested when I mention the sums of money I make this way. It's a way to make money with the same painting or drawing again and again. US visitors shouldn't disregard uk greeting cards if interested in selling artwork for a flat fee or roaylties. Read my article and listings on UK greeting card publishers to find out why. If you are thinking about printing your own cards look at greeting card printers and continue reading here to learn about print on demand. Print on Demand for the working artist. A very promising greeting card business opportunity has come about through print on demand services like zazzle. Zazzle has enabled me to begin selling greeting card art to the US market without the prohibitive cost of postage and packaging. Although zazzle has become saturated quickly with amateur artists, print on demand services are definitely worth the time of any one wanting to make money with art. A few hours per week posting cards on these sites can be profitable especially with your own website driving customers to your choice of print on demand company. 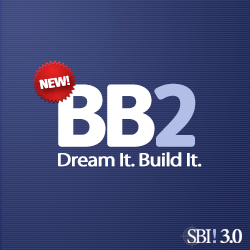 Ask an expert at SBI how they can help you build a high traffic, highly profitable online business. Talk to SBI! Now.